Created to honor beer writer and historian Fred Eckhardt. This golden strong ale incorporates ten hop varieties from five different countries. Through the use of aromatic and rye malt, the beer achieves a unique balance of flavor. Fred will inspire you to share your knowledge with others. 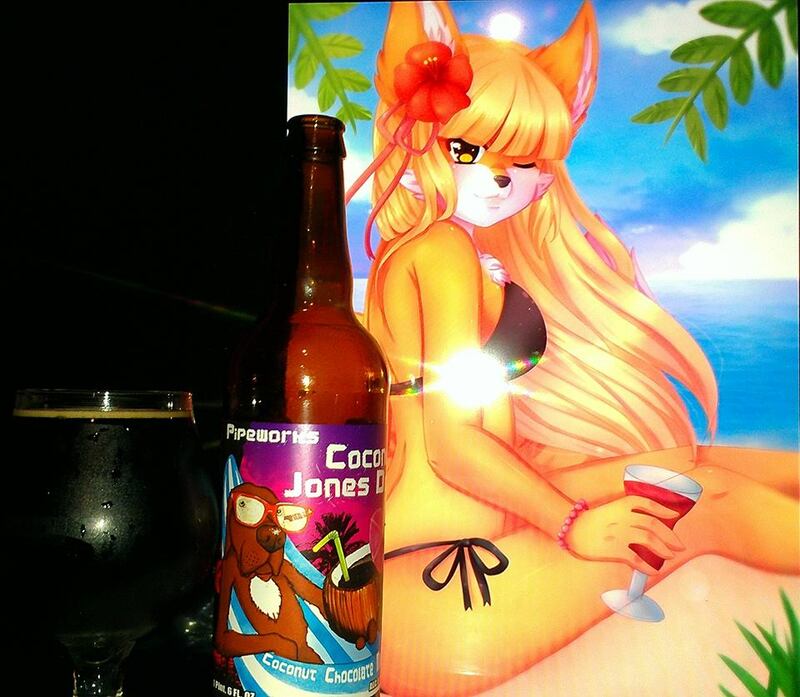 Coconut Jones Dog by Pipeworks brewing is an 8.5% ABV Sweet/Milk Stout brewed with Coconut, Cocoa Nibs and Vanilla Beans. Jones Dog is a pup who knows what’s up. The addition of coconut to our milk stout with cacao nib and vanilla, makes this brew a real treat. No man’s best friend is an island, but this brew might make you feel like cold chillin’ on one. If you fetch a bottle, lap it up! Obtained this one from thebottleshop.net. 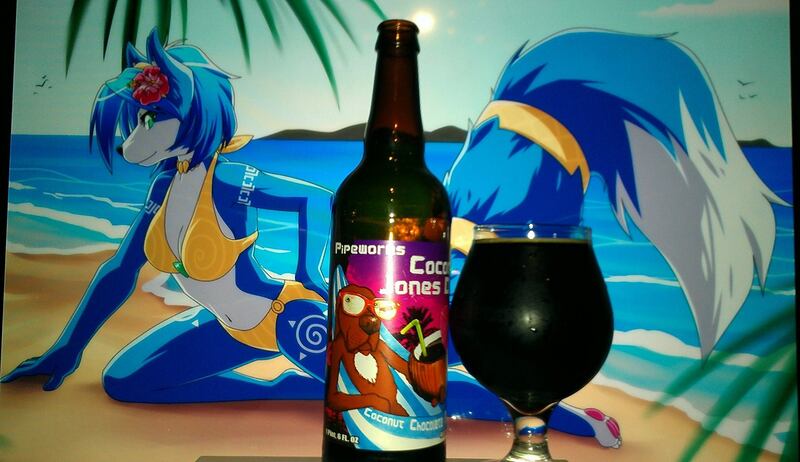 This beer label intrigued me and being a coconut stout and from Pipeworks, I definitely wanted to get it. They make great beer and I haven’t had anything yet that I did not find very delicious and exceptional from them. Since Death By Coconut by Oskar Blues, Mash & Coconut and Cacaonut from the Bruery, there hasn’t been a coconut beer that has really exceeded my expectations on the coconut beer category. So another coconut stout is definitely something I want to take a shot at. Let’s take a look at this one. Cheers! Toasted coconut, macaroons, vanilla, caramel, toffee, Mexican Cocada candy, Danish cream, Jamoca ice cream, rocky road ice cream, Bailey’s Irish cream, Khalua liqueur notes, coffee cake, marshmallows, smores chocolate, dark fruits like raisins, currants, boysenberries, dark cherries, raspberries, pomegranates, rich almond joy chocolate, cookie dough and pecan pie. Rich toasted coconut, Mexican cocada coconut candy, coconut macaroons, vanilla, caramel, toffee, coffee cake, marshmallows, smores chocolate, milk chocolate, dark chocolate, sweetened condensed milk, dark fruits like raisins, currants, boysenberries, dark cherries, raspberries, pomegranates, rich almond joy chocolate, cookie dough, Danish cream, Jamoca ice cream, rocky road ice cream, Bailey’s Irish cream, Khalua liqueur notes, Cherry cordial chocolates, Tropical fruit notes of Piña Colada, dragon fruit, passion fruit, bananas, pecan pie, hazelnuts, chocolate mousse, coconut flan and 3 leches chocolate cake. Rich Coffee cake, Toasted coconut, vanilla, Hazelnut, dark fruits especially the dark cherry and raspberries, rocky road ice cream, mocha, cookie dough and tropical hints linger. No alcohol in the taste, pitch black darkness of inner coconut space body, velvety, silky, smooth and chewy mouthfeel with a moderate to sipping drinkability. Trying to compare some of the best coconut beers I have ever had, this one is definitely higher on the dark fruit and cherry list. The complexity in comparison to some of the other coconut beers I have had is definitely different and while I love each one for their different, I love this one for the fruitiness. I would definitely like to try this one again and would recommend those that can get this one should definitely try it. Krystal Fox from Nintendo’s StarFox, Lavenda by Tofu93 and original art by priincessu were used in this pairing as I wanted to pair with the dog at the beach. While these characters are K-9s, although different than the normal pooch, I think the colors along with the dog help accentuate the scene of tropical beer here. 2013 marks the 25th anniversary of Grand Teton Brewing. In celebration, we’re bringing back three of our favorite styles for this year’s Cellar Reserves. 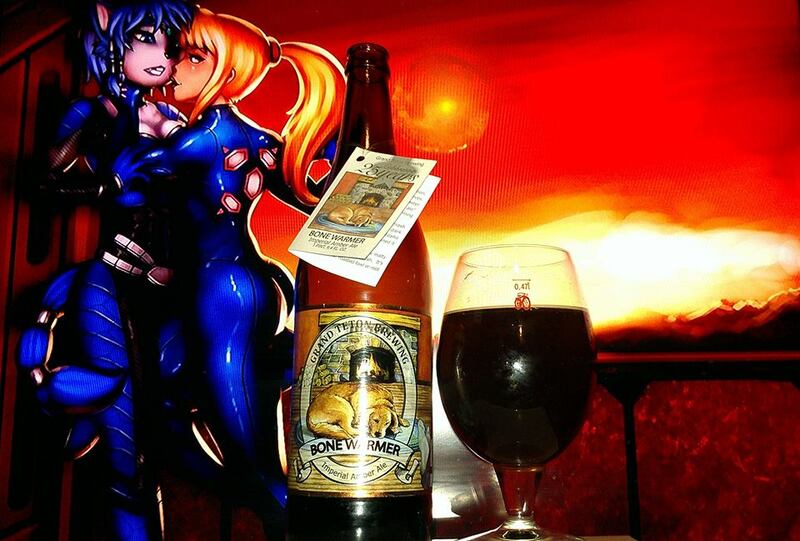 Bonewarmer Imperial Amber was first brewed in 2006 and sold out faster than any other beer we’ve made. Bone Warmer, brewed in the “strong ale” tradition, is a beer of great character, with exceptional malt flavor and warming alcohol content. Our Bone Warmer is brewed the same way, using only the first runnings from an extraordinarily thick, strong mash of Idaho 2-Row Metcalfe and Harrington barley malt, along with dark German Munich and caramel malts. We subtly spiced it with Idaho Chinook hops, fermented it at cool temperatures and cold-conditioned it for smoothness and drinkability. The resulting ale is the color of roasting chestnuts. It is voluptuously malty and only slightly sweet- with a hint of toffee and a warming dry finish. It’s an ideal accompaniment to rich meaty stews, wild game, roasted fowl or root vegetables, and aged cheddars. This beer peeked my interest a couple of times at the store but I never got around to grabbing it until I saw it a second time. I love winter warmers and holiday beers so I figured, what the hell, why not. I haven’t tried Grand Teton stuff in a long time so I figure I was over due to come back and try some of this brewery’s great beers. I have yet to have a bad experience from any of the beers I have tried form them so far. Hell, they are the ones to made Black Cauldron Stout, one of my favorites. Finishing off with rich caramel notes, fruit cake, ginger bread, dark fruit and spices, this beer is quite in the holiday spirit. A very good amber that generally is peeking into the Winter warmer direction. The fact that there is a lot of holiday spices is definitely what makes I closer to the winter warmer category. 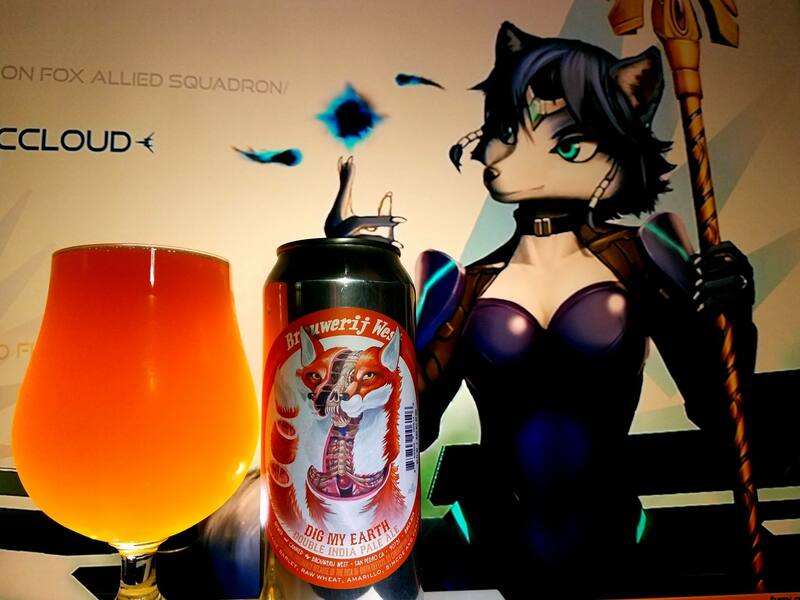 While it may not be the end all be all of winter warmers or amber ales for that matter, it is definitely a very delicious brew and one that should be obtained for the holidays if you are still able to find it. Samus Aran and Krystal from Nintendo are used in this pairing along with Coco from Crash Bandicoot. While it is not obvious as to why I chose them, I will explain. 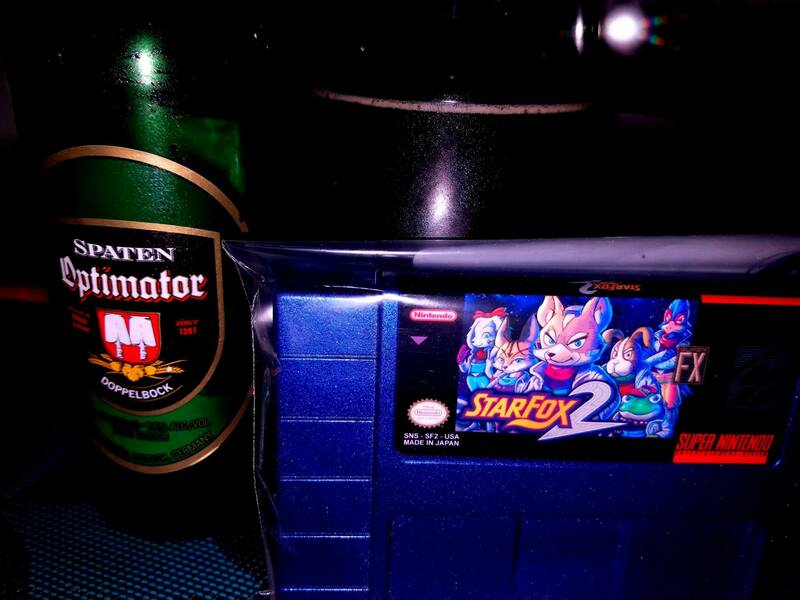 For the label aspect, the color of the dog and the blue rug and chimney compliment Krystal, Samus and Coco’s suit. While Samus is not a dog, she has some colors that fit the blond color of the dog as so does Coco. 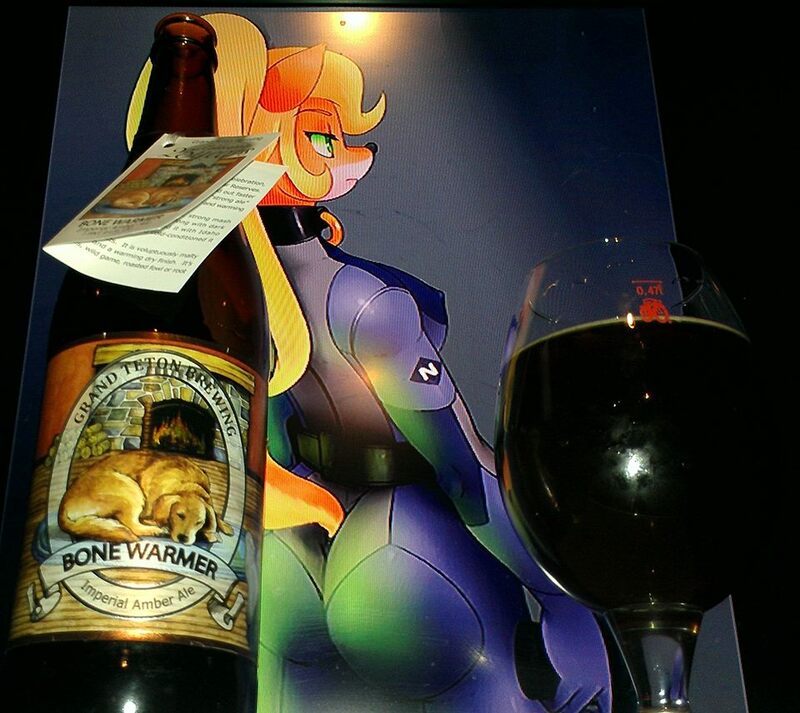 The winter warmer or bone warmer aspect might be an innuendo really. 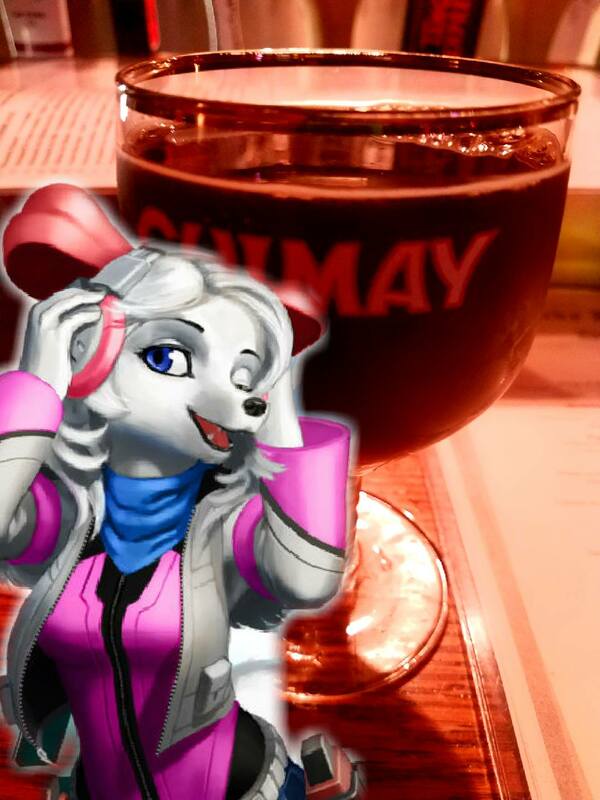 With a warm and sunset evening, if Samus and Krystal had a kid, could it look like Coco? Well, in a weird way, that is essentially what I was going for. You can also say that when love is in the air or when the winter comes, one wants to keep warm and stay close.